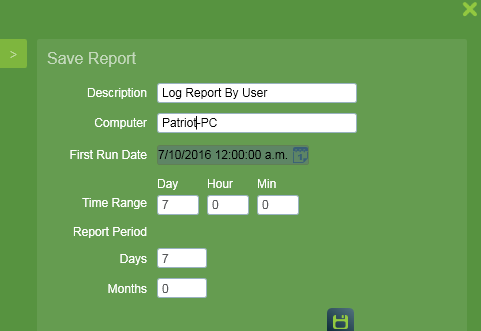 Patriots reporting system provides a versatile and powerful solution for creating and organizing reports for your customers, bureaus and for your own station review. Preset reports to run at scheduled times and automaticall save to storage or send to a customer. Clients, Bureaus or dealers who manage mutiple sites can receive reports on all of their sites. Download unique UL / ASIAL certification reports & other specialized reports. Create Bureau / Dealer branded reports for sending to their clients. 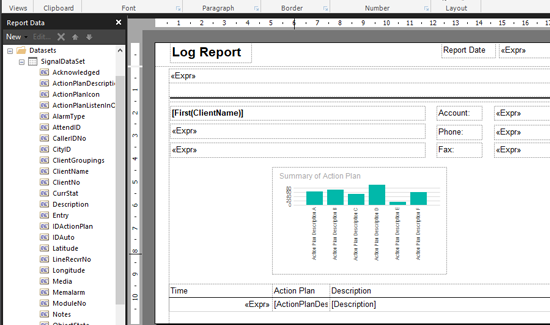 Fully customize the position, layout and details of any report with Report Builder.